The Ascom D81 Protector IP-DECT NM MD ATEX Phone is with its robust features at home in a demanding working environment. One of the main reasons for this is the sturdy rubber protective layer on the vulnerable edges and corners of the handset; This makes the handset able to withstand a fall of up to 2 meters. The handset has an IP65 rating, as well as the built-in headset connection and the charging and programming connection. This makes the Ascom D81 resistant to the ingress of dust and moisture. 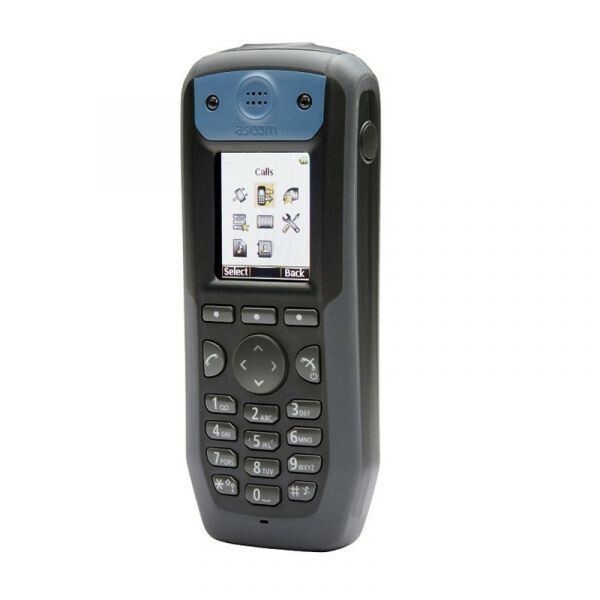 In addition, the handset has an extra large temperature range, from -10 ° C to + 40 ° C.
Advanced alarm functions include a manual alarm, which is triggered by a clearly identifiable red push button, an automatic man-down or no-movement alarm and the device meets the ATEX guidelines for explosion safety. The alarm button on the Ascom D81 NM / MD / ATEX can also be programmed for other purposes, for example as a speed dialing button. With this dual functionality, the user can call and make an alarm at the same time. If several alarms are generated at the same time, the D81 in combination with the IP-DECT system gives priority to the most urgent signal.